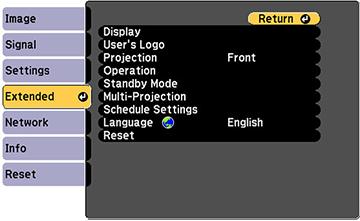 If you want to view the projector's menus and messages in another language, you can change the Language setting. Select the Language setting and press Enter ( ). Select the language you want to use and press Enter ( ).